City Center’s community engagement mission is to revitalize Downtown Allentown and its surrounding neighborhoods into a sustainable vibrant urban community. City Center and its affiliates believe we can make the greatest impact by concentrating our support - financial, in-kind donations and volunteer service - in Downtown Allentown. Our philanthropy focuses on three key results-oriented areas: the arts, education and community development. 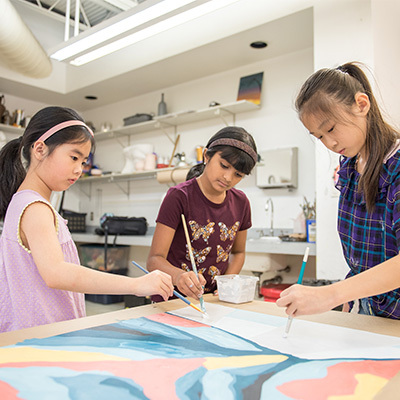 Arts: A rich arts environment helps ensure a high quality of life for all citizens and provides economic vitality and educational opportunities to our community. City Center is committed to connecting our downtown neighborhoods with Allentown’s great art institutions. Education: City Center is committed to enhancing educational opportunities for our residents in Downtown Allentown. We know the foundation of revitalizing our neighborhoods starts with education. Community Development: City Center is committed to strengthening our neighborhoods by partnering in comprehensive strategies that create a strong economic base in downtown and enable businesses to come here, start here and flourish here. Part of this includes community partners focused on housing rehabilitation to empower downtown’s residents and enhance their quality of life. Each year Downtown Allentown nonprofit organizations are invited to submit funding requests for a donation from City Center Allentown. Priority is given to programs designed to revitalize Downtown Allentown and its surrounding neighborhoods into a sustainable vibrant urban community. All proposals must be made in writing on the organization’s letter head and must be emailed or postmarked by November 1, 2019, regardless of the amount requested. Proposals are limited to four pages. One paragraph description of the organization and its mission statement, concise description of the project, including project goal, planned use of the contribution, demographics, the number of people who will benefit from the project, the time-frame and brief description of the staff responsible for the project. Evaluation plan for determining success of the project: If the request is approved, an evaluation report from the recipient agency will be due by November 1 of that same year to be eligible for funding the following year. The evaluation report can be a simple one-page description of what the funding accomplished. Download Donation Evaluation Report. Please note if your program is eligible for the PA Educational Improvement Tax Credit Program. City Center in-kind donations are available for 501(c)(3) organizations that address education, community development, arts and health. Requests for City Center in-kind donations can be submitted anytime during the year but must be submitted at least 4 to 6 weeks prior to need. All recipients of City Center in-kind donations must agree not to resell the product in any venue. Items donated specifically for an auction are the exception. City Center Allentown | Community Engagement Dept.